President Trump continues to prove that when it comes to the economy and small businesses, he is indeed the right man to have in the White House. 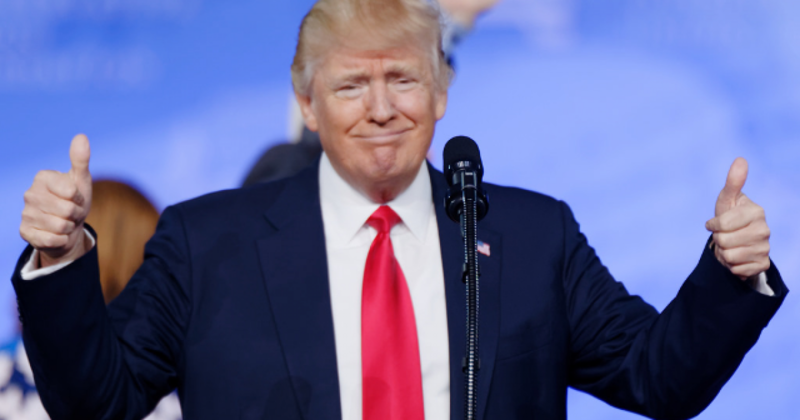 The latest evidence of such comes in the form of his crushing the record for small business optimism previously held by the legend himself, former President Ronald Reagan. The National Federation of Independent Business Small Business Optimism Index recently rose to 108.8 last month, which is up from the previous number of 107.9 in July. The mark is the highest in the model’s 45-year history. The previous record — 108 — was set in 1983 under then-President Ronald Reagan’s leadership, who sought to greatly improve the U.S. business environment. The optimism translates to capital spending reaching the highest rate since 2007 while hiring intention also reached a record high, Bloomberg reported. Authors of this month’s survey, William Dunkelberg and Holly Wade, said small business optimism has been increasing ever since President Donald Trump won election in 2016. “The small business engine continues to roar with the dramatic change in economic policies since November 2016,” they wrote in the report, according to Bloomberg. “Today’s groundbreaking numbers are demonstrative of what I’m hearing everyday from small business owners — that business is booming. As the tax and regulatory landscape changed, so did small business expectations and plans,” she said. Ever since being elected to office, Trump and the Republican-led Congress have made the improvement of business in America a top priority, and if you look at how the unemployment rate is plummeting and wage growth is happening at a consistent rate, it seems what they are doing is working, improving the economic lives of millions of Americans. One such measure that has had great success was providing businesses with much needed tax cuts that have enabled them to pass on the extra cash they saved to employees in the form of higher wages, bonuses, and job creation.